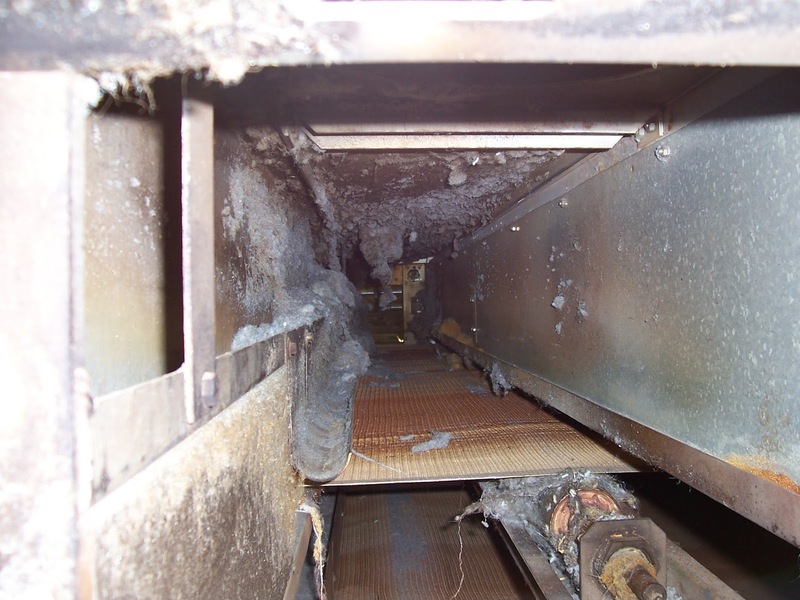 Industrial Oven Cleaning Can Prevent Product Damage | Blackwell's Inc.
Quick! Think of an oven. You probably thought about your kitchen oven. I would have too. But ovens encompass a whole lot more than just a kitchen. For everything that requires heat processing, there's an oven. From cooking our food to curing the paint on a new car, an oven is used. in the manufacturing of carpet. 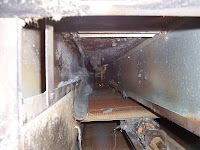 Whether it's cooking, curing, dehydrating, or drying, no matter the ovens' purpose, if contaminants build up inside the oven, or on conveyor screens that transfer a material to the oven, or on the heat exchangers sometimes located within the ovens, these contaminants can cause problems. The result can be PRODUCT DAMAGE. For instance, the function of a Curing Oven is to cure a part, coating, or adhesive. But when applying coatings to parts that then need to cure, a multitude of adherence problems can occur if the oven temperature is either too hot or not hot enough. Underbaked coatings create a soft surface that easily rubs off, while overbaked coatings are very brittle and crack or chip easily. 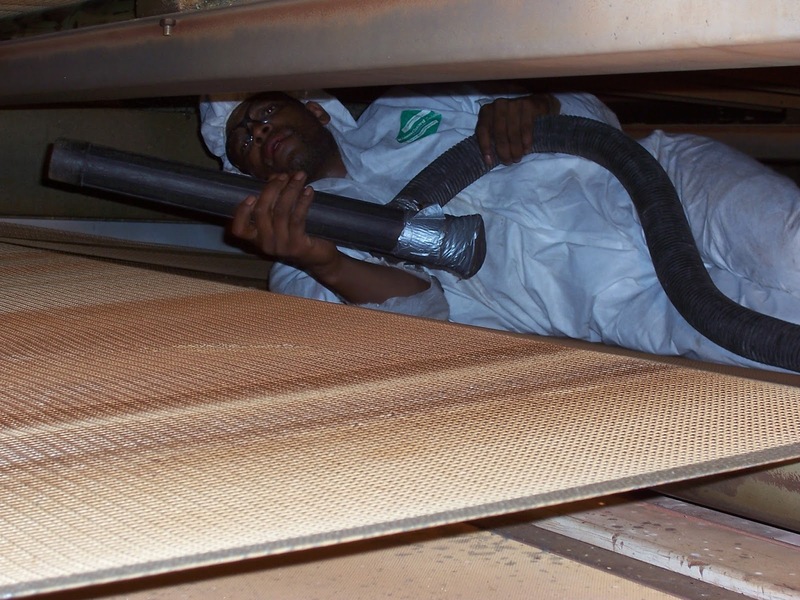 Pressure washing, dry mechanical cleaning, CO2 Blasting, or vacuuming are some of the cleaning methods we use to keep these industrial ovens and associated equipment clean and functioning properly.